The characterization of the human genome in the last decade and a half has enabled us to study in unprecedented detail how genes impact our well being. The result has been a huge increase in our knowledge of human biology as well as new opportunities for research into the treatment of disease. DNA sequencing technology is evolving rapidly. This enables us in many cases to rapidly identify the molecular details of the mutation. The number of new mutations and disease mechanisms is exploding at an ever increasing rate with the result that we frequently need to reclassify disorders. Some that were once considered clinically unique may have multiple mutations in the responsible gene that lead to other apparently unique phenotypes. As a result, new diagnoses may be applied. For example, among the hereditary corneal dystrophies at least 6 with clinically unique features are the result of mutations in a single gene (TGFBI). At the same time, some diseases with nearly indistinguishable clinical phenotypes, such as congenital stationary night blindness, we now know to result from mutations in multiple genes (at least 10). The strategy of using clinical criteria alone is further undermined by their frequent inconsistency (variable expressivity) through modification by gene interactions, epigenetic factors, and environmental influences. In an increasing number of disorders, the correct diagnosis can only be determined through molecular analysis and it seems likely that we are approaching the day when diagnostic sequence analyses will become the standard in clinical science. Nosology is a dynamic science. It is based on current knowledge but that body of information is undergoing continuous revision. New mutations often lead to downstream studies that define new biologic mechanisms which in turn aid us in understanding mechanisms that determine the phenotype. This in turn can result in a revision of classification criteria based on new diagnostic guidelines. New treatment modes such as gene therapy underscore the need for precise molecular information. For example, viral vector techniques now being used in the experimental treatment of Leber congenital amaurosis requires accurate molecular identification of the specific mutation being treated. At least 17 unique mutations can cause this disease but only one is usually responsible in each patient. Treatment is likely to be effective only if the virus vector carries the normal gene that restores function for the specific mutation in a patient. Both diagnostic and therapeutic considerations therefore provide strong incentives to develop a gene-based system of disease classification. This database contains primarily ocular and systemic disorders in which there is good evidence for single gene mutations or, in a few cases, trinucleotide repeats. Disorders considered solely due to chromosomal aberrations are not included although they are mentioned when they result in phenotypes similar to those of specific single gene mutations. The conditions in this database have been organized primarily on the basis of the mutant gene or locus thought to be responsible. In a few conditions, such information is not yet available but other sources such as pedigrees or segregation analysis strongly supports a genetic basis for the disorder. Allelic condtions are generally mentioned in descriptions of the mutation. However, where the titles of disorders are in common usage, such as in the case of many corneal dystrophies, they are separately described even though mutations in the same gene are responsible. In general, when mutations in multiple genes cause similar clinical conditions, each is separately listed and described. The educational value of this database is greatly enhanced by the illustrations of gene action contributed by Marc Tischler, PhD, Professor of Chemistry and Biochemistry at the University of Arizona. Among the over 650 or so disorders in this database nearly 90% result from known mutations in individual genes and the altered gene-to-phenotype metabolic pathways are known to some extent in about 60% of these. Dr. Tischler's informative graphics illustrate these steps and enable the user to associate disease mechanisms with the phenotype. The majority of single-gene ocular disorders are rare and few clinicians encounter many of them in a lifetime of practice. And yet, as genetics becomes more relevant to clinical medicine, we are increasingly consulted for information on these conditions. This database of hereditary ocular disorders is designed to be a 'point-of-service' tool to be used in a clinical practice setting for efficient information retrieval while seeing patients. It enables the ophthalmologist to quickly locate and retrieve diagnostic and genetic information on over 650 heritable conditions with ocular features. It is not a substitute for comprehensive clinical information nor does it provide extensive treatment details. Rather, it is a portal site, using active Internet links to more extensive resources that can be consulted when time permits. Using one of several search routines, it is expected that clinicians will be able to answer the majority of diagnostic questions that arise when confronted by uncommon heritable ocular conditions. 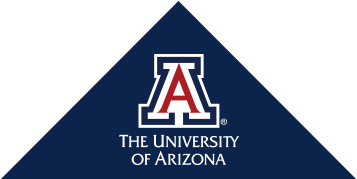 All content is copyrighted by the University of Arizona Board of Regents and may not be reproduced except for personal use and educational purposes without express written consent. This database may be cited as: Hereditary Ocular Disease Database (https://disorders.eyes.arizona.edu), according to the journal-specific reference format required. This site is actively managed and updated to maintain currency. Suggestions for improvement are welcomed.